When it comes to buying any product, it’s important to consider which options will help you save money, even with items as simple as coolers. If you’re looking for a brand that will keep your wallet in good shape, then you should take a look at Aosom’s Outsunny ice chests. This option doesn’t go too far in trying to get your attention with features that make your cooler more than what it is, and it has everything you need to provide cold drinks and food while saving you plenty of money that you could use for other things. Read on through this Outsunny cooler review to see what this pick can do for you. 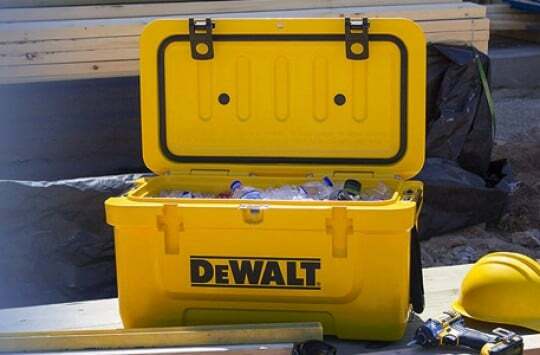 When having a party outside in your backyard, or even at a beach or campsite, it’s smart to have an ice chest that can withstand the damage of being carried and natural factors like sudden rain and wind. Outsunny coolers have you covered with their heavy duty roto-molded thermoplastic construction. 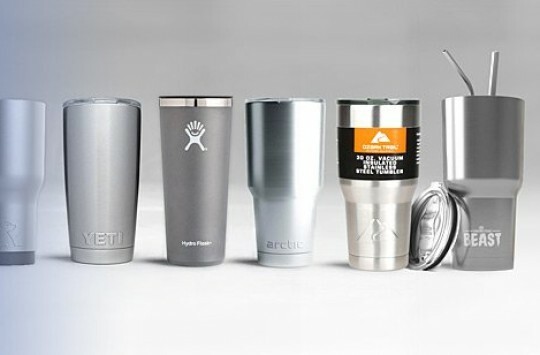 The majority of these coolers, no matter their size, are designed for use in the outdoors and are made of stainless steel, so if you have a camping trip coming up or plan on going to the beach with your friends or family, this option will be able to handle these settings, as well as situations like wind blowing objects or sudden rain or hail storms. TIP: More camping coolers can be found here, and some best beach cooler options are here. Keeping all items inside cold is a necessity for all ice chests, and that is a guarantee with Outsunny because of its 2-in. thick insulation. Whatever you’re keeping inside will stay cold long enough to satisfy everyone at the party, and this comes in handy if you are traveling from place to place and not sticking around in one spot. Another component that helps makes sure that your drinks stay cold and your refrigerated meat is ready for the barbeque is the freezer-quality gasket, which runs the length of the lid to block heat out and lock the cold inside. A drain plug is included so that you have an easy time getting rid of water at the end of the party. 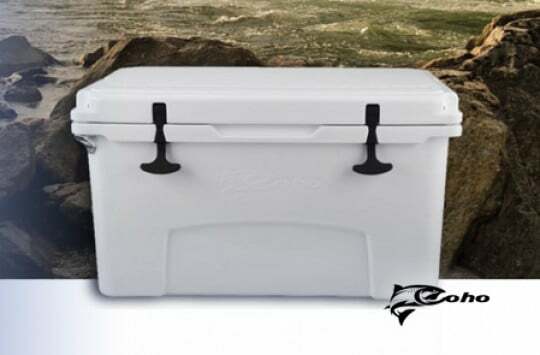 Outsunny’s 85 Quart, 64 Quart and 32 Quart ice boxes will provide an easy carry to the beach, campsite or backyard of your friend’s house, as they come with handles that are made with durable nylon rope material. 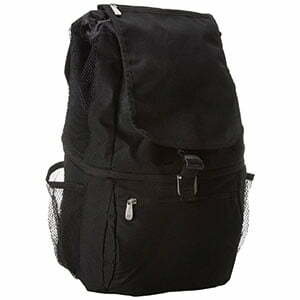 This ensures that you have a tight grip and don’t drop your cooler along the way. If you prefer a cooler that you can push or pull, whether on your own or with a helping hand, you can get Outsunny’s 80 QT rolling ice chest, which has wheels to make its movement convenient for whoever uses it. You can lock two of the wheels to keep it in place, and trays are included to keep items separate and easy to obtain. Outsunny’s 26 and 33 Quart 12V AC/DC Thermoelectric Portable coolers are small enough to carry yourself and come with a handle so that you don’t have to carry them under your arm. TIP: Best thermoelectric coolers are listed here. Aorom’s Outsunny coolers come in a variety of sizes to fit whatever amount of food, drinks and other items you plan on bringing with you to a party or provide at your house to guests. 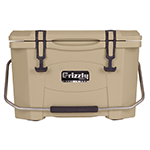 The 85 Quart Heavy Duty cooler weighs 33 pounds and measures 29.5 in. X 16.9 in. X 17.8 in. overall, while the 65 Quart option is slightly smaller, weighing 27.5 pounds and measuring 29.75 in. X 16.1 in. X 17.1 in. overall. 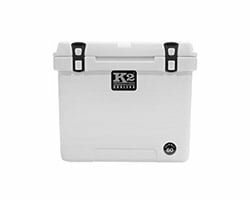 The 32 Quart ice chest weighs much lighter at 15.5 pounds and measures 21.5 in. X 12.3 in. X 13.3 in. overall, and the Thermoelectric Portable option is the brand’s smallest choice, weighing 13 pounds and measuring 17 in. X 13 in. X 18 in. overall. The rolling ice chest is Outsunny’s biggest offering, weighing 43.3 pounds and measuring 33 in. X 18 in. X 16 in. overall, but being on wheels makes it easy to move. While the 85, 64 and 32 Quart ice chests are only available in Khaki, the blue Thermoelectric Portable cooler will be easier to separate among most ice boxes at the party. The rolling ice chest gives you several color options if you want your cooler to stand out among the others, with options including stainless steel, black, brown wicker pattern and red. Outsunny, like most of Aosom’s brands, comes with a warranty of one year from the date of purchase for defects of materials and workmanship. While this isn’t as long as warranties for Yeti and Pelican, which are five years and a lifetime, respectively, it is just as much as that of RTIC. 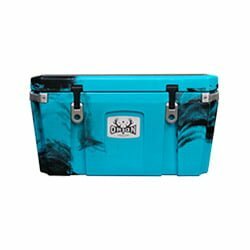 The only coolers that are covered are those sold by an authorized merchant or retailer, as well as those that are sold through official marketplace transactions. If you have an issue with your ice chest, Aosom will replace it with an identical cooler or replace any specific parts that are broken. The company will also either partially or fully refund your purchase, depending on the situation. We recommend that you go to Amazon to get Outsunny coolers, as this online retailer has proven to be a reliable choice by providing reviews from other customers and the option to return your purchase. Amazon Prime members should also have access to free shipping and other benefits. Outsunny has received a great deal of praise for its affordability. Last time we checked, you were able to purchase the 85 Quart for $199.99, the 64 Quart for $159.99, the 32 Quart for $149.98, the Thermoelectric Portable version for $45.99 and $65.99, and the rolling ice chest for $149.99. However, as prices tend to change over time, we recommend that you click here to check the current ones. Affordability is a major plus when it comes to buying coolers, and there are times when that’s all you need from your ice chest as long as it can perform the basic functions. Outsunny has you covered in this department, as it provides ice chests that cost no more than $200 compared to popular brands that will charge you up to $1,000 for its offerings. If you’re looking to save money and prefer simplicity in your next ice box, see what Outsunny coolers have to offer. You’ll be guaranteed cold drinks and functionality with Outsunny, as it performs perfectly for get-togethers in any outdoor setting while being affordable, pocket-friendly ice chest.